Forced: After a player draws any number of cards, discard the top card of the encounter deck. If the discarded card is a Dunland enemy, put it into play engaged with that player. 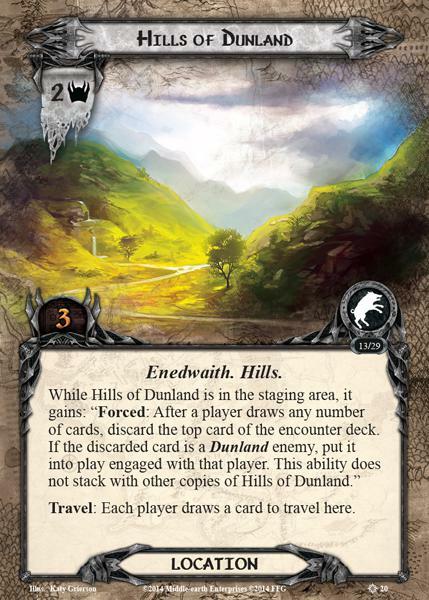 This ability does not stack with other copies of Hills of Dunland. Travel: Each player draws a card to travel here.